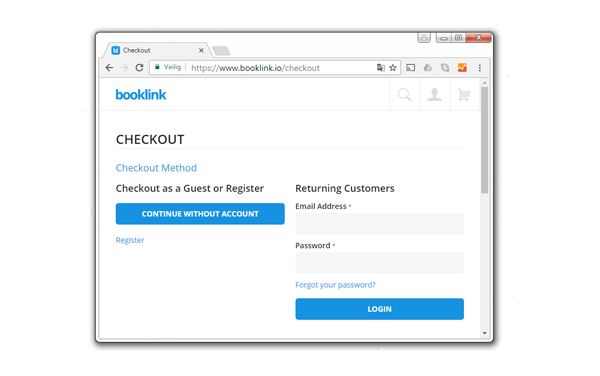 With Booklink, selling your books online is very easy. There is no fuss concerning stock, shipping, customer support or online payments. 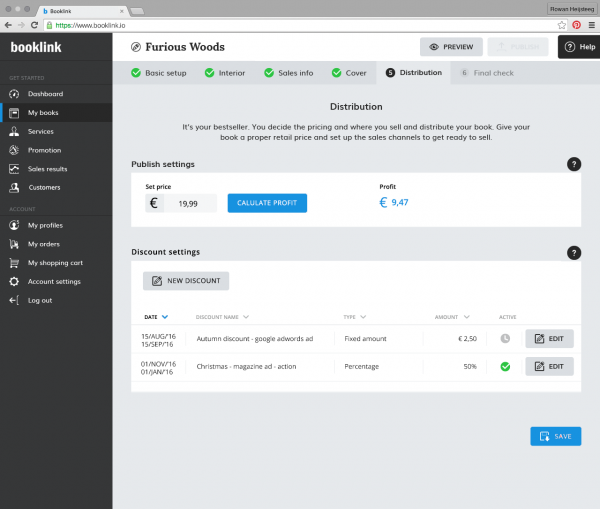 With our widgets and buy buttons, you’re able to create your own sales channels in just a couple of clicks. That way, you can focus on building a strong relationship with your readers. We take care of everything else! Have a look at the following steps to find out more. Upload your books (paperback, hardcover, e-book) using PDF, Word or epub. We automatically convert your work to a printable pdf or epub. We don’t add any layout, so that’s your own responsibility. Covers are uploaded separately. You can either use your already designed cover (PDF or image file) or use our design tool. You have the possibility to use your own ISBN, buy one of Booklink, or publish the book without an ISBN. Enter your sales price and determine your margin. Our calculator tool automatically calculates what the print price is and what your margin will be with the chosen sales price. Your margin can rise to 65% of the sales price and for e-books even higher! Booklink automatically creates widgets which can be placed on social media and your own website. 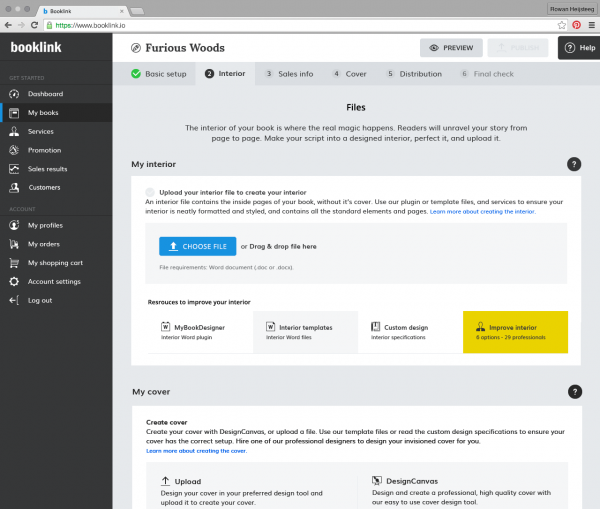 The widgets are customizable in colour, font, size, and more. When they are ready, you can place them on social media with one click. We provide you with an HTML code to place it on your or other relevant websites. When all the information about your book is already available on your website, you can choose to just use place the ‘Buy’ button. When customers buy your book, they pay in our secure payment environment. The book is immediately printed and distributed to the customer, who is informed about this through email. When an e-book is sold, the customer receives a download link to have the book right away. All sales data is available real-time in your sales results. All sales and customer data is available real-time. 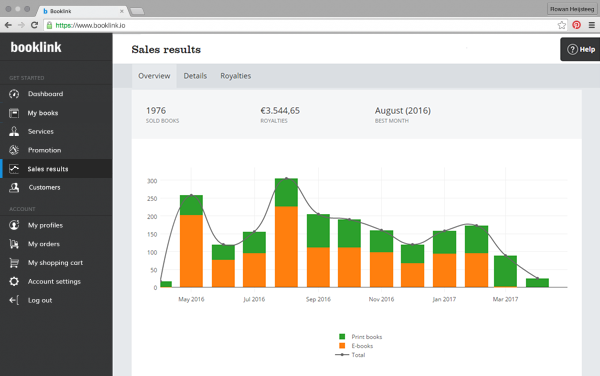 You can easily select titles or timeframes and analyse the sales. Use the extensive data for future sales. 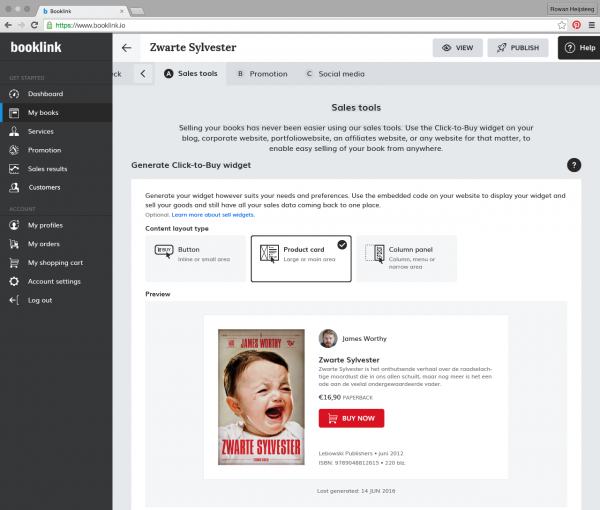 Booklink collects all relevant user data of your buyers. Get detailed insight of user data to better target and plan your upcoming marketing activity. Use demographic or address info to contact your customers via mailings or social media. You own 100% of the data. We pay your profit on a monthly basis. 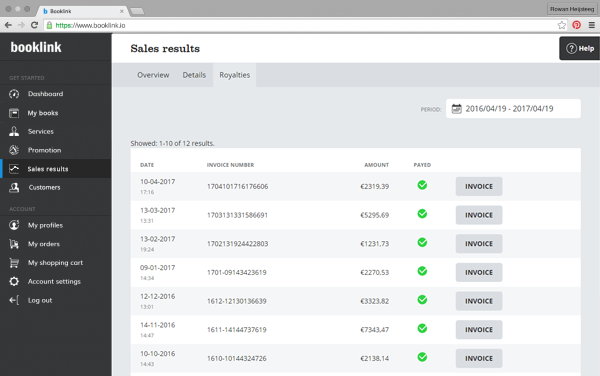 In the sales results you can find what has been paid. For every payment we create a self-billing invoice which you can use for your own administration. As enthusiastic as we are?